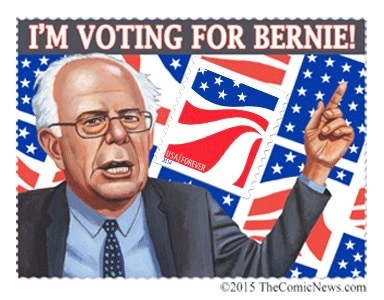 The Comic News, responsible for the stamp above, has recently published a Special Edition titled "The Bern." One purpose of this new publication is to promote a frenzy of gift subscriptions to The Comic News. Getting yourself a subscription, and sending out multiple gift subscriptions, is definitely recommended. You can make arrangements by clicking right here. You might also be able to get a copy of "The Bern," if you haven't yet seen it, by emailing The Comic News. Besides its promotional purposes, this recent publication has an instructive objective. "The Bern" adopts the style of The Prophet, by Kahlil Gibran, and illustrates that we actually do have a choice, in this upcoming election. If true, that's big news! 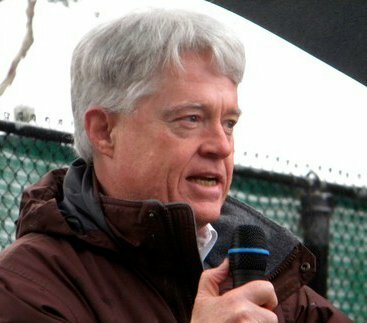 If ordinary people were of a mind to "begin a political revolution to transform our country economically, politically, socially and environmentally," it appears that there is actually a candidate who would at least attempt to make that happen. Other candidates? Not so much. Actually, let's be honest. Other candidates? Not at all!